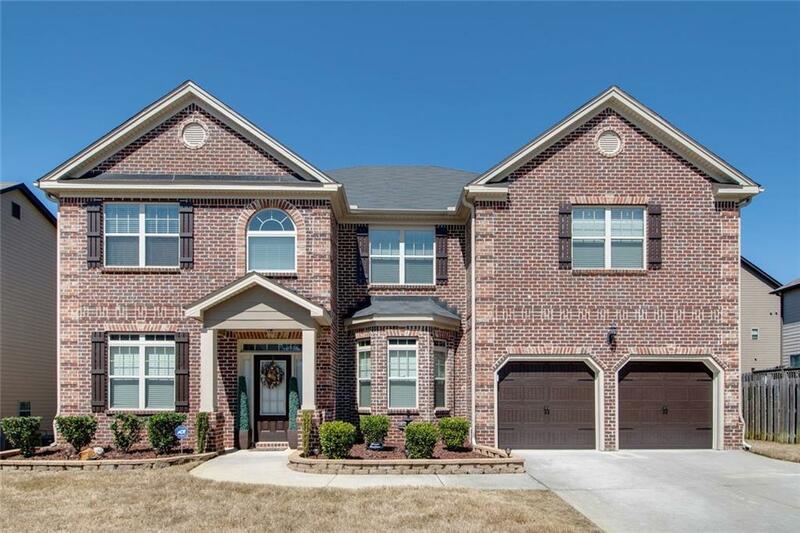 Great swimming & tennis family subdivision. Over $30,000 in upgrades. Awesome lanscaped yard w/irrigation system, & brown stained privacy fence. Brick front & hardplank siding. Hardwood in foyer & kichen. Coffered ceiling in dining & family rm. 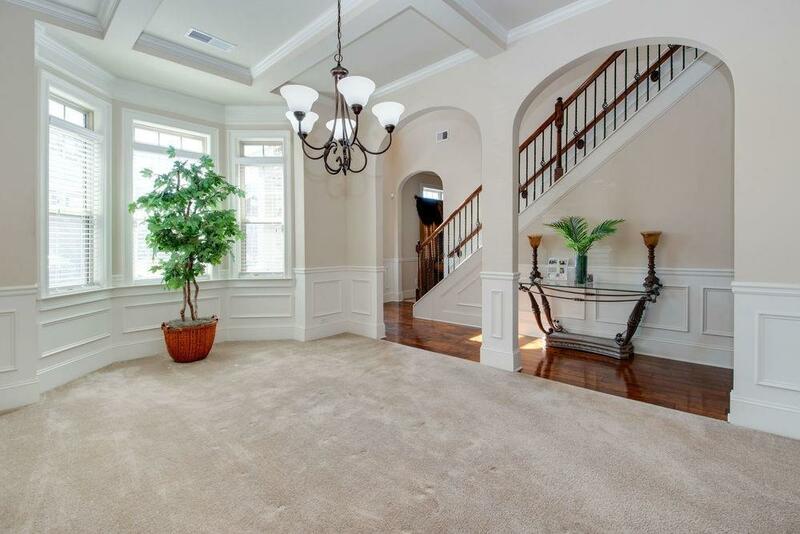 Crown molding in entire house. Chair railing on main level. Security system & dual HVAC. 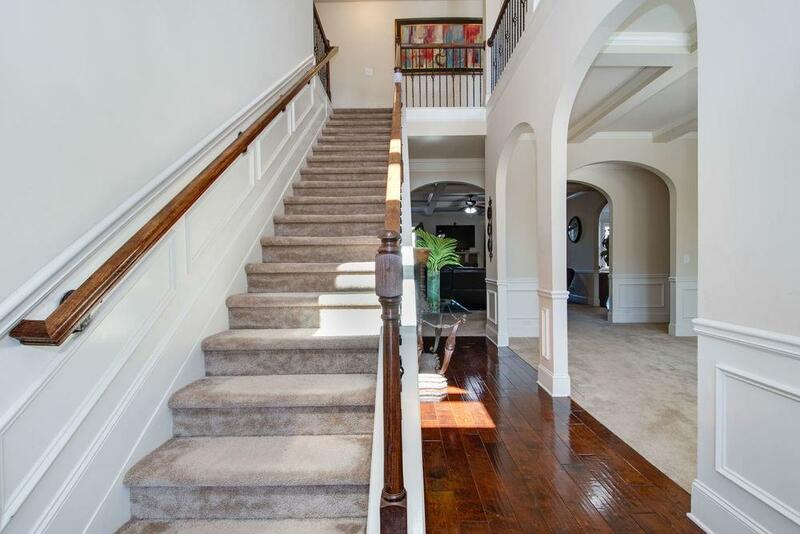 2 story foyer, formal dining & living rm. Family rm w/stone fireplace w/gas logs. Kitchen w/granite counter & tile backsplash. 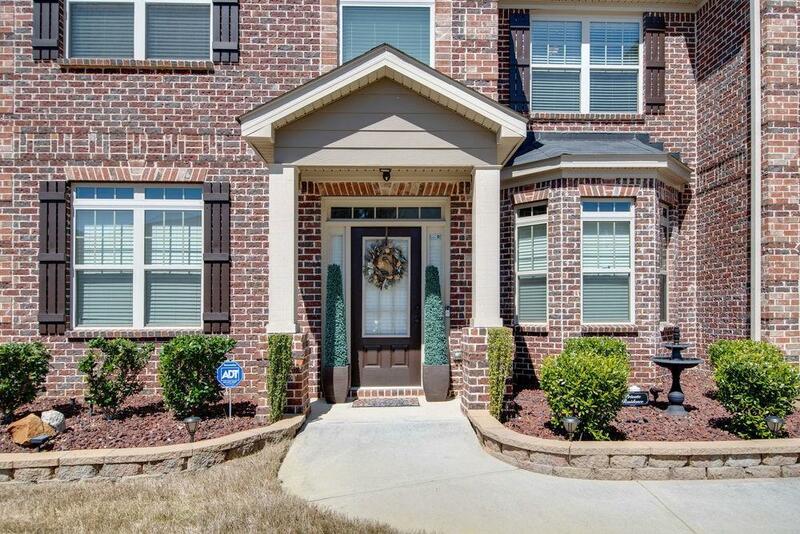 Walk-in pantry, breakfast area, gas stove, double ovens, wrought iron railing. Large guest bed & full bath on main.